San Diego Center for Algae Biotechnology BLOG! 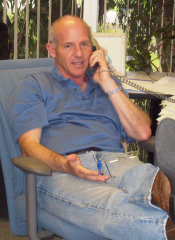 : SD-CAB Researcher Spotlight - Steve Mayfield, Ph.D.
Steve Mayfield is the director of the San Diego Center of Algae Biotechnology, but he also runs a lab studying algal biofuels and spends his days teaching the public about the importance of our future in green energy. In this SD-CAB Researcher Spotlight, Mayfield tells us about how he became interested in algae, what he tells young scientists, and where he sees SD-CAB in the future. How did you decide that algal biofuels were your passion? It kind of snuck up on me. I was happily working away on molecular genetics in algae and expressing recombinant proteins, and life was good. It was obvious that algae had the potential to scale up at very low cost. Even today we continue to work on therapeutic proteins, industrial enzymes and vaccines, all of these can be made in algae for a fraction of the cost to produce them in the systems they are presently made in. We were working on algal genetic engineering in earnest since 1999. Back then oil was less than $20/barrel and climate change was something that people were talking about, but with no real urgency. That all began to change about 5 or 6 years ago, and by 2007 it had become the perfect storm: the cost of oil was going up fast and at the same time it was obvious that climate change was not only real but happening much faster then we thought possible. We either had to figure out how to generate renewable energy, or we would suffer some pretty severe consequences, both environmental and economic. Given algae's ability to turn sunlight and CO2 into liquid fuels, I decided we better give this a serious try. What part of your career has gotten easier with time? What's harder? I think the part that has gotten easier is convincing people that what we are doing in lab really matters to the world. I always knew it did, and so did some great post-docs and students that worked with me in the past, but I think many people dismissed algae as a kind of fringe scientific organisms that was maybe interesting, but not really something that mattered in their life. Now everyone agrees that bioenergy is THE science of the next decade, and it will matter in everyone's life. I think what has really gotten harder is my ability to stay connected directly with research. It seems I spend more and more time talking to politicians and reporters and students, and less time in lab talking research. I honestly believe that my time spent educating students and politicians and the public is time well spent so no complaints on what I do, I just wish I had more time to do research. What's the best part about your job? The worst? The best part is still discovery. When someone from lab runs in with a great new result that is just exciting. For some reason knowing something that no one else in the world knows, at least until you tell them, is just a great feeling, I loved that when I started in science 25 year sago, and love it just as much today! The worst part of my job is watching science get reduced to slogans and op-ed opinions, like it has become in the press and by many politicians. I now consider it one of my main jobs to call people on this behavior. It sounds like you're pretty busy, but what's your favorite hobby? Surfing and golf for sports and tuna fishing when time allows. What do you tell young people interested in science? First if you love science you WILL be successful, because when you love something you work hard on it and when you work hard you are almost always successful. The second I tell them is that the future is energy, in any form, fossil fuel, renewable you name it in the next decade anyone that makes energy will have something to sell, so if you want a job, work on energy. 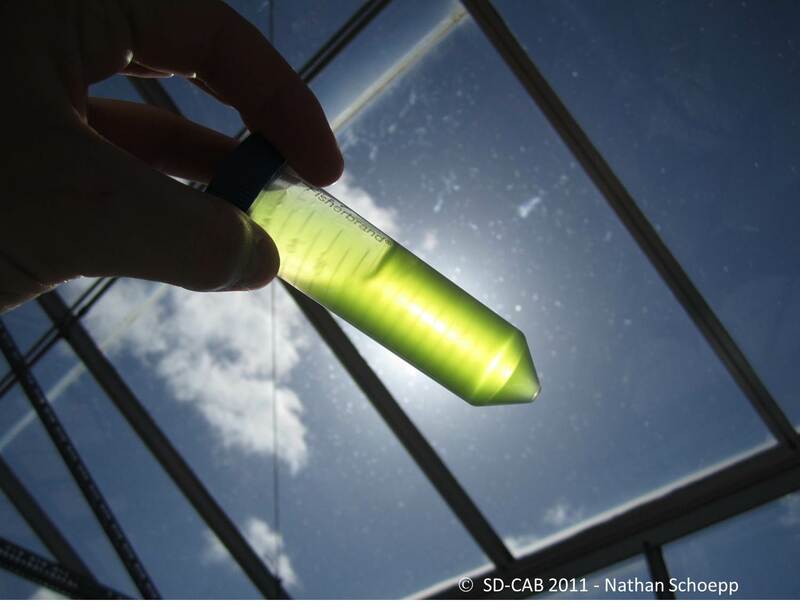 How do you see SD-CAB shaping the future of algae fuels? What's the big picture? SD-CAB has become one of the premiere algal research centers in the country and, perhaps, the world. Our plan is to make sure we stay that way, and to expand our research, education and training programs on every front.